We are going to make a Automatic Garden Light Controller Using Relay and LDR. 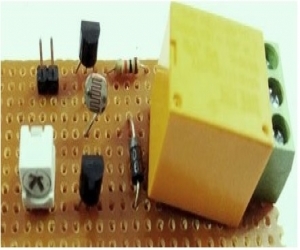 This circuit is very simple circuit and can be built with Transistors and LDR, Here we have used an AC bulb as garden light. 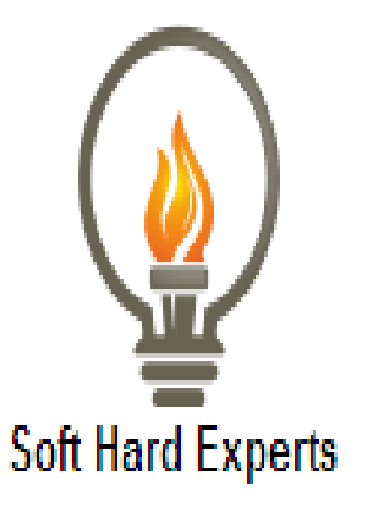 "In this project, we have used an LDR which is responsible for detecting light and darkness. The resistance of LDR increases in darkness and reduces in presence of light. 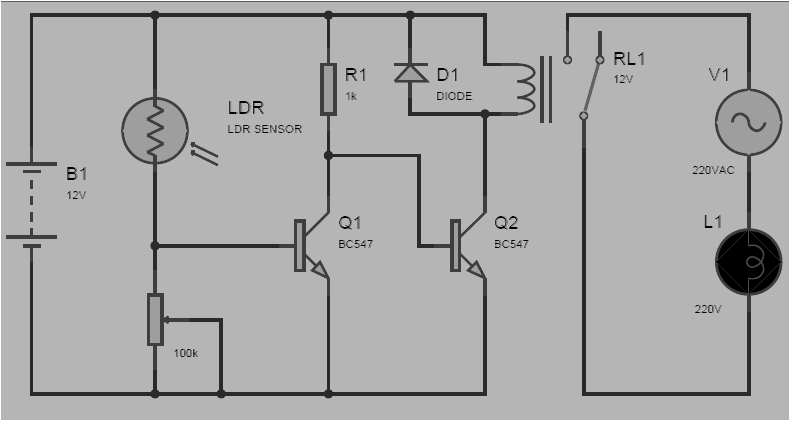 Whenever light falls over LDR its resistance get decreased and transistor Q1 turns ON and collector of this transistor goes LOW, and this makes the second transistor turns OFF due to getting a LOW signal at its base, so relay also remain turned OFF due to second transistor. Now whenever LDR senses Darkness, mean no light, then transistor Q1 turned ON due to increase in the resistance of LDR which is responsible for voltage drop at the base of Q1. Due to a LOW signal at the Q1 base, Q2 transistor gets a HIGH signal from the collector of Q1 and turns ON the relay. Relay turned ON the AC load that is connected to relay. A 10K pot is also used for setting up the sensitivity of the circuit." Hardware Requirement : "1. Transistor BC547 -2, 2. Relay-1, 3. 100k Potentiometer-1, 4. Resistor 1k-1, 5. LDR-1, 6. Power Supply 12v -1, 7. 1n4007 Diode, 8.Some Connecting and Jumper wires, 9. Screw terminal Block 3 pin, 10. Perf Board, 11. AC supply, AC Bulb"
Application : Some applications of this circuit are street light controlling, home/office light controlling, day and night indicators, etc.